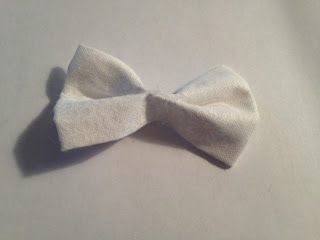 Learn how to make a hair bow clip - perfect for sock buns. 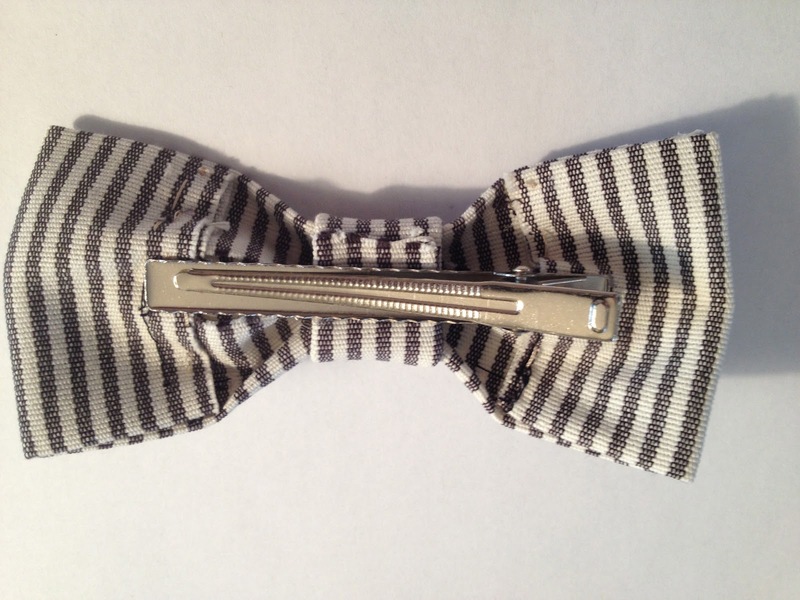 All you need is a piece of fabric, a hot glue gun and a hair clip or bobby pin. Cut the fabric into to pieces. Start with the bigger piece, and fold it "hot dog" style, so the edges meet in the middle, and glue. 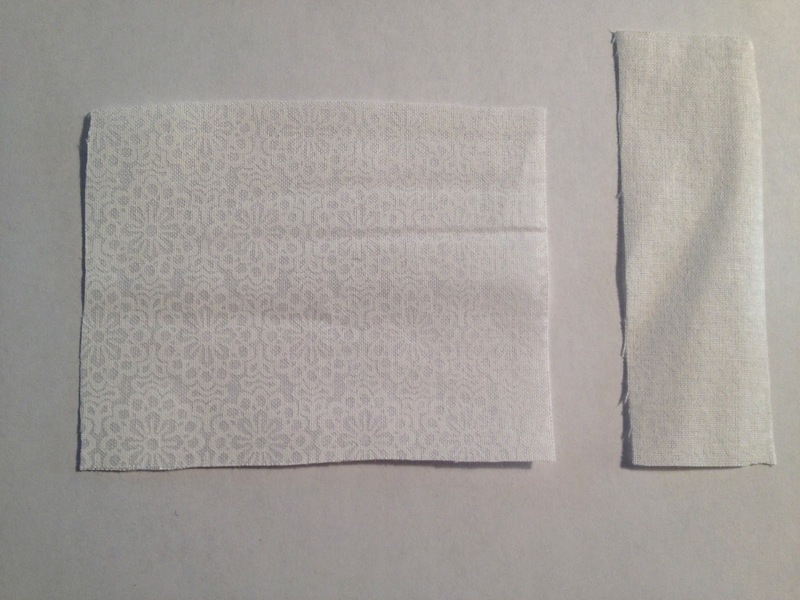 Next, fold the edges in about an inch, and glue. Now, turn it over, and pinch in the middle, and put a bit of glue in the centre to hold it like this. 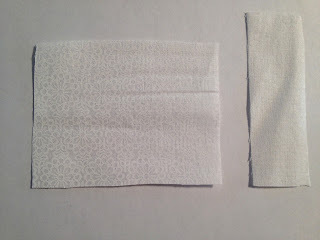 Next, you are going to take your smaller and skinnier piece of fabric and fold it "hot dog" style, and glue. It is best to glue on each end and not in the middle, as it may show through the material. Now you are going to place a blob of glue in the middle of the bow, and wrap the skinny long piece around. Make sure the glue does not show. When you get to the back, if you are using a bobby pin, make sure you don't glue it together so you can't put it in your hair! 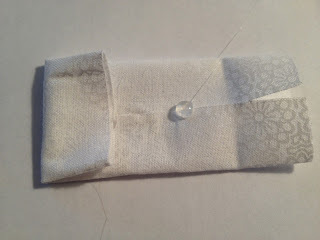 I put the fabric in-between the bobby pin, and glued down the bottom side. 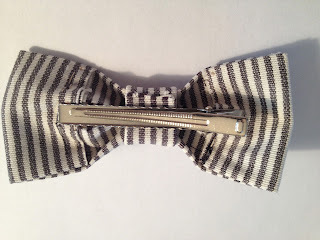 if you are not using a bobby pin, you can glue down the fabric, and glue the clip on top. Check out this link to see other ways to wear these cute bows! I'm so excited to try this! Very happy it's no sew :) thank you for this tutorial!